Traders like to say that they trade prices, not indicators. This is true when considering the role of popular technical indicators. The value of the RSI, the relative strength index, or the MACD indicator, are not tradable, nor are they particularly meaningful to many traders. But, traders depend on changes in the level of prices to make a profit. This does mean at least one indicator is useful. That’s volatility. Volatility is often talked about but many investors find that it is difficult to measure. In the traditional, and popular, sense, it is. VIX, for example, is the widely followed volatility indicator. That is a difficult index to measure, but many traders still profit from the indicator. For a trader, volatility can be measured in simpler terms. Instead of calculating implied volatility of options or even the historical volatility in terms of standard deviations, the trader could just find how much a stock moved over a certain amount of time. Like most indicators, this idea can also be applied to exchange traded funds (ETFS). An ETF tracks a basket of stocks or an index. Sometimes, as in the chart below, the ETF can track the price of a commodity. This is simply a trader’s tool rather than an exact presentation of volatility in the sense that it is defined in the academic world. It tells us the percentage move over an eight week period. The formula can be changed to measure any time frame. In simple terms, we could use this indicator to employ a strategy that benefits from mispriced volatility. For example, we could see that average volatility for USO has been quite high. The horizontal line in the lower part of the chart is drawn at the 8% level. Over the past year, the average range of the price actions has been 13.85% for USO. This is over an eight week period. Now, we could look for options that deliver a payoff if volatility is more than options are currently pricing in. 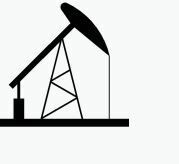 Oil is being used in this example because a large move in oil is likely. Obviously, the indicator we have developed shows that volatility is usually large in the ETF. And, oil is now moving on news so it could move even more than average. “The president’s comments came as the Organization of the Petroleum Exporting Countries (OPEC) and other major producers outside the cartel, including Russia, gather in Jeddah, Saudi Arabia, to assess compliance with a coordinated plan to hold back crude production. Whether the upcoming news on oil is good or bad, this ETF is likely to make a relatively large move. To trade this idea, we could trade options on USO. 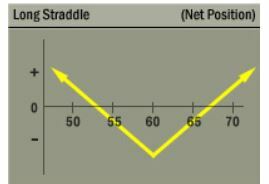 The straddle can be opened using options expiring on June 15 with an exercise price of $13.50. The June 15 $13.50 call is trading at about $0.60. The June 15 $13.50 put is trading at about $0.40. The total cost to open the trade is about $1.00, before commissions which should be relatively small at a deep discount broker. The total premiums add up to about 7.3% of the price of USO. The question is whether or not a move of that size is likely within the next few weeks. Given the current state of the market, it seems safe to assume that a significant price move is likely. Whether that move is up or down, this trade could profit. These are the type of strategies that are explained and used TradingTips.com’s Options Insider service. To learn more about how options can be used to meet your goals, click here for details on Options Insider.